The Illinois Holocaust Museum is hosting another traveling spy-themed exhibit following up on its successful hosting several years ago of Spies, Traitors and Saboteurs. 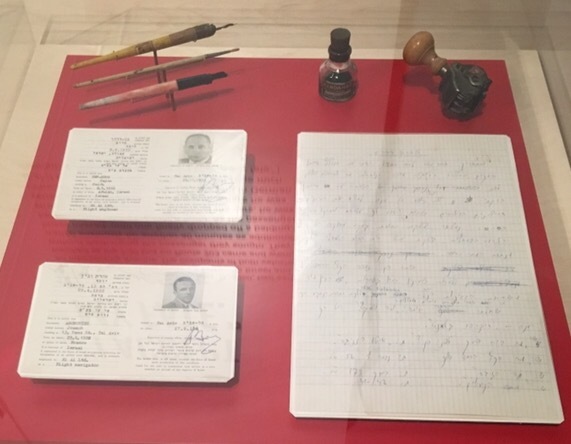 This new exhibit, Operation Finale, is focused on the secret plan to kidnap Adolf Eichmann and bring to him to Israel for trial. Eichmann was one of the officers responsible for implementing the Nazis “Final Solution” who managed to escape to South America following World War II. It was created through a unique partnership of Mossad, Bet Hatfutsot – The Museum of the Jewish People in Tel Aviv and the Maltz Museum of Jewish Heritage in Ohio. The exhibit begins with a short look at the Holocaust and Eichmann’s role in it before moving on to his escape from Germany to Argentina. He’d been living there anonymously for ten years working for Mercedes-Benz until he was recognized by a Holocaust survivor. The report on his location eventually made its way into the hands of the head of the Mossad setting the wheels in motion for Israel to undertake there first major intelligence operation. They assembled a crack team of operatives that seem torn from the pages of a heist film – the forger, the driver, the muscle, etc – to fly into Argentina and spirit Eichmann out of the country under the noses of the authorities. The exhibit does a wonderful job of telling the suspenseful story through pictures, artifacts and videos. 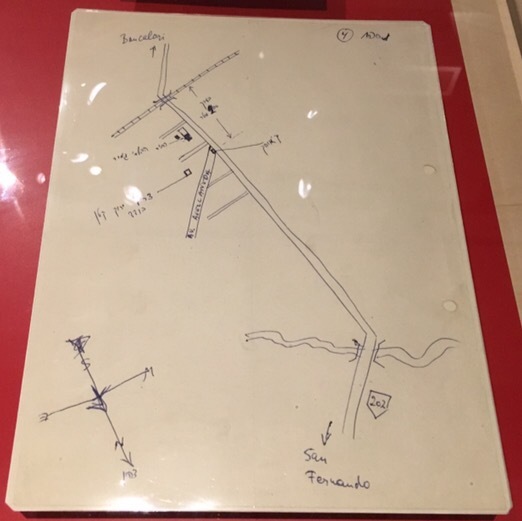 Included in the exhibit are various maps, cameras and forged documents that the team used. 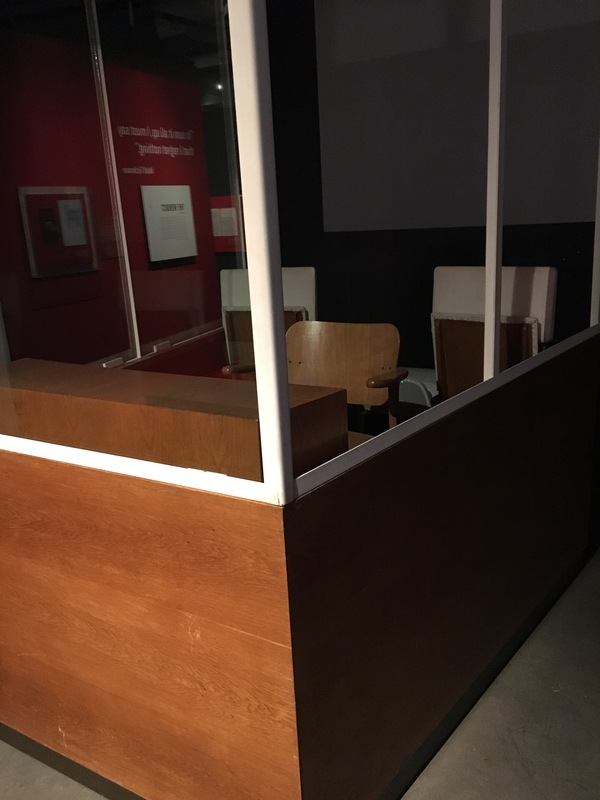 However the centerpiece of the exhibit is the bulletproof booth Eichmann sat in during the trial. Actual footage from the trial is shown in an immersive video projection with Eichmann projected on a screen behind the booth and the prosecutors, witnesses and audience shown to your right and left sides. You can watch Eichmann’s expressionless face as you see witnesses discussing the horrors they survived and the emotions of the crowd at the trial. It’s very impactful. The exhibit offers a chilling look at the way these types of horrible actions can be justified and explained away by those complicit. 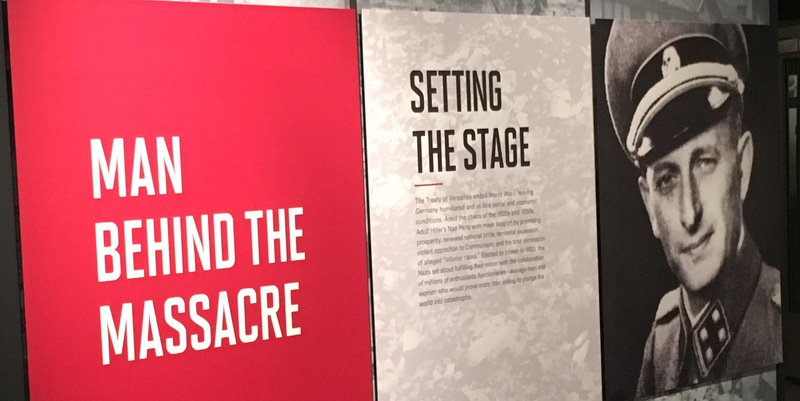 At the end of the exhibit, current recordings of survivors are shown and they discuss what they went through and how the Eichmann trial in particular gave them the strength to speak out so that the Holocaust isn’t forgotten. They also link those past events to the situations in the present. What horrors are we allowing to happen due to our own inaction and justifications? The exhibit runs through June 18th in Skokie and will move to the Museum of Jewish Heritage in New York from July 19th to December 17th. If you’re anywhere near the exhibit I highly recommend visiting. Beyond New York there are apparently plans to take it to Florida or Atlanta. The exhibit is running through June 18th and the museum tends to run a Groupon regularly offering discounted admission.